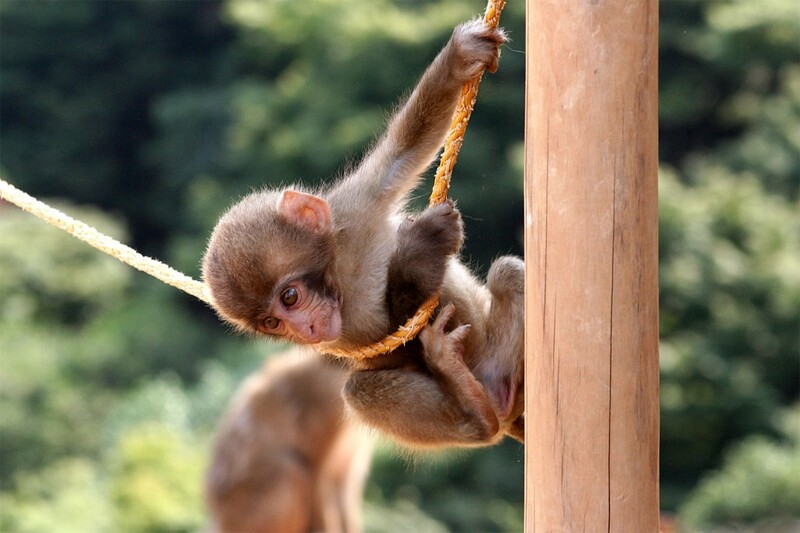 A stunning view and a chance to get up close and personal with Japanese monkeys makes the Iwatayama Monkey Park a fun day trip from Kyoto. The city of Kyoto seems to have endless tourist attractions to offer. 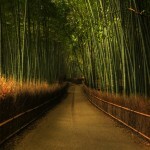 From thousand-year-old temples to breathtaking sights, it would take any tourist weeks to visit each fascinating place. 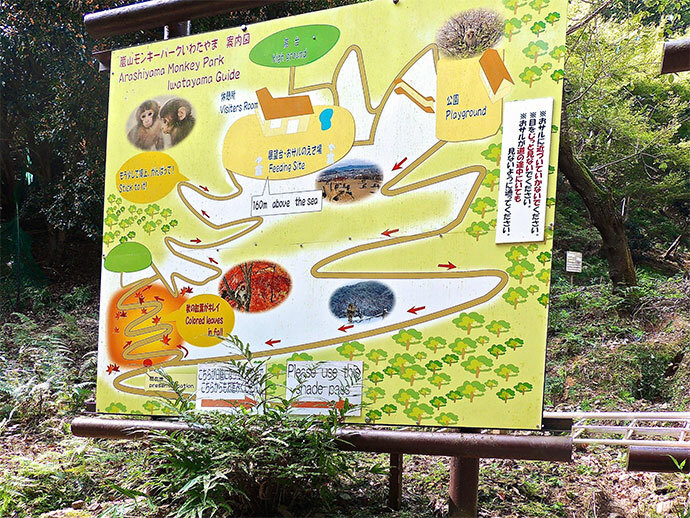 One that I particularly enjoyed but is often overlooked is the Arashiyama Iwatayama Monkey Park. 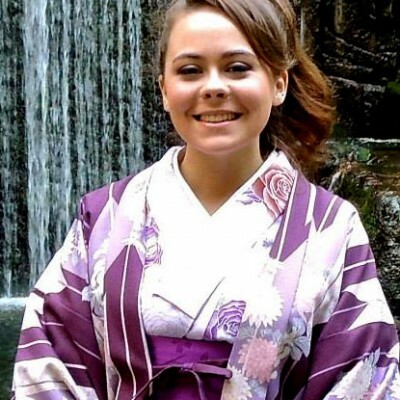 As a student of Japanese who has less than average conversational skills, I must admit that it hasn’t always been easy to travel around Japan outside of the Tokyo. 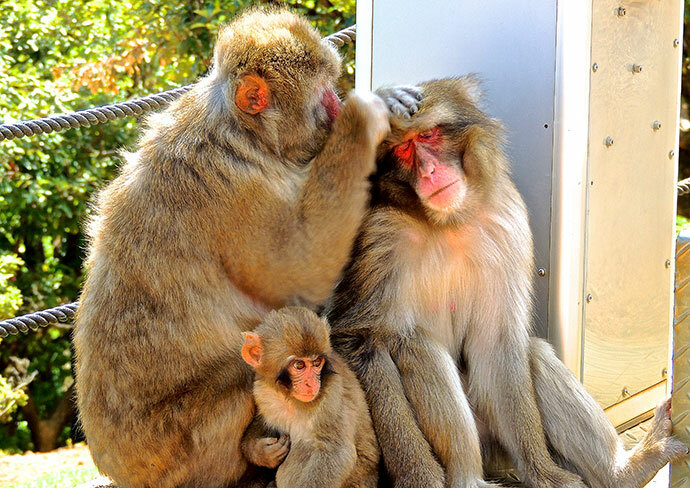 If you are planning to visit the Monkey Park I would recommend taking the Hankyu line to Arashiyama station. 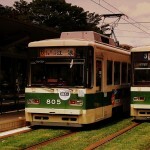 Be careful, as there are 2 Arashiyama stations that are easy to get confused. The monkey park website gives detailed directions, and this seemed like the easiest route. It’s about a 5-minute walk from this station, during which you can see the Hozu River (保津川) along with quaint houses and shops lining the riverside leading into the Arashiyama area. Once you reach the entrance, you will pass through traditional torii gates and see a peaceful shrine located near the entryway. When I was researching this outing I had no idea about the incredible and difficult walk up the mountain that was part of the experience. After all the time spent sitting on trains and planes during travel, I love getting in some exercise while sightseeing, so this was a great addition to the trip. It was a warm September day that made for a hot hike up the mountain, but it was definitely worth it. It wasn’t the most challenging hike, but I would say it took us about 35-45 minutes without stopping. Make sure to wear good walking shoes and bring some water, you’ll need it! I assumed all of our hard work climbing the mountain would be worth it, but it proved to be more valuable than I could have imagined. The trees suddenly disappear and the view opens up to a gorgeous overlook of the city of Kyoto. The top reaches 160 meters (525 feet) above sea level, which is described to you by the signs in English located around the park. 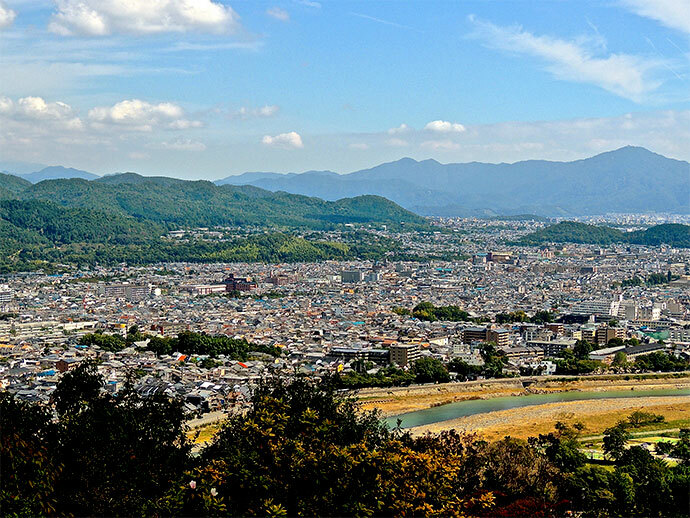 You can to see Kyoto Tower, the Kyoto Mountains, and a greater view of the Hozu River with or without the binoculars provided. What always amazes me most about the views in Japan, though, is looking at all of the houses. It’s a neat experience to witness their ability to live so compactly and take advantage of every bit of space from afar. This way, more nature is preserved and less is wasted; and it’s evident from this incredible view. I couldn’t take enough pictures to capture this serene moment. Even with such a breathtaking view, the mood is definitely made lighthearted and fun by the monkeys that live at the top of the mountain. I have never been so close to Japanese Macaques or “Snow Monkeys,” and I probably never will be again. They surround and outnumber the guests while relaxing in the sun and waiting for their next meal. Of course there are park rules like “don’t look the monkeys in the eye,” and “don’t touch them,” but it still seemed more free-range than any petting zoo I’ve ever visited. I even witnessed a few fights in the trees that had to be broken up by park staff. After enjoying the view, you can go inside the building located at the top where they sell refreshments and offer bamboo-style seating. The most exciting part for guests in the building is feeding the monkeys by hand. The feed is very inexpensive, and it’s a great place to see the Macaques up close. Some were even fighting over the food, which made it a memorable experience to watch. Every day at 10:30, 12:30, and 2:30 the monkeys are fed by the park staff, and it is definitely not to be missed. They play hilarious theme music and have the monkeys follow them like a modern-day pied piper. This is the best time to see the large amount of monkeys that are there hiding between feedings; I think there were over 200 Macaques in the park when I visited in 2013. Once you’ve appreciated the view and had your fill of monkey-watching, you simply take the path down the other side of the mountain and exit at the same gate. They have some souvenirs to remember your stay, but I am sure that you won’t forget it. I have to find the opportunity to see this at some point. Thanks for the cute article. 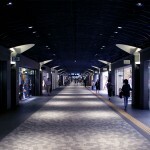 From high end to hipster fashion when it comes to shopping Fukuoka really does offer something for everyone. The streetcar won't be a fast ride, and it may be a bit bumpy, but as you enjoy the street views, know that you are sitting in the heart of Hiroshima.